Where is African swine fever now? 17 October 2018, at 12:00a.m. What is the current status of ASF around the world, and what are both infected and non-infected regions doing to stop its spread? With African swine fever continuing its journey through Europe and China, mortalities continue to increase, meaning more domestic herds are at risk. As of today (17 October), China has confirmed that a 10th region, Shanxi province, has reported African swine fever in a domestic herd. Since the first cases emerged in Liaoning province in early August tens of thousands of pigs have been culled and trade restrictions have been set to prevent the spread of the virus. Already this month (October 2018), China has banned imports of pigs, wild boar and pork products from Belgium, Bulgaria, Japan and Moldova, as ASF cases emerged in these countries (Reuters). ASF cases continue to hit the headlines in China: four new cases were reported in Liaoning within a few days of each other, one of which occurred on a 19,938-head farm, one on a 1,571-head farm and another in a city-based, 161-head herd. Until this point during the current outbreak in China, ASF had not been recorded on large, commercial farms, but with nearly 400 pigs found dead on these three farms alone, the fear is that the virus might be out of control. 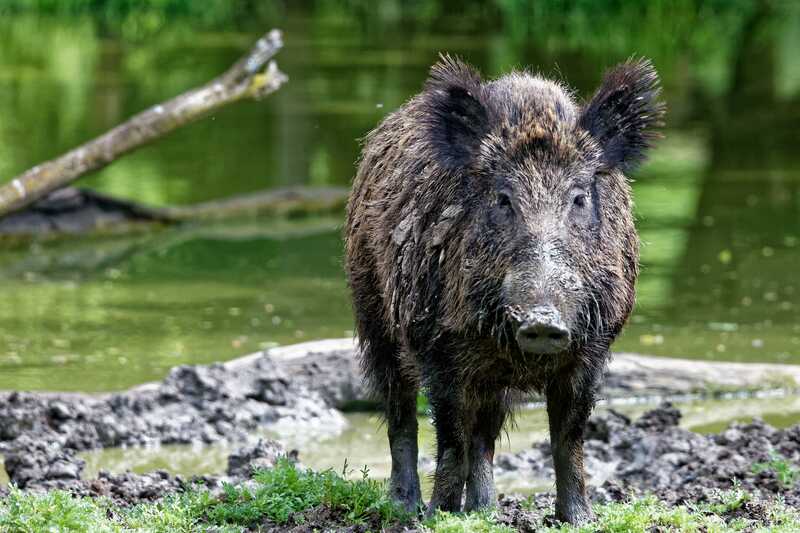 Meanwhile, dozens of ASF-infected wild boar have been found dead in rural Luxembourg , and the Belgian government has endorsed pre-emptive culls in the contaminated zone, to prevent the virus reaching larger domestic herds. The capacity of wild boar to rapidly travel large distances and negotiate difficult terrain has also worried other countries in the region, sparking a number of trade sanctions and containment measures. Most recently, France has announced a plan to build a fence along the Belgian border. Meanwhile, further afield, South Korea and China have banned all pig, boar and pork product imports from Belgian suppliers. All authorities have implemented strict control measures and heightened biosecurity, but the rapid spread of the disease this year has warranted extensive research into the development of a vaccine. Currently there is no effective treatment or vaccine for African swine fever. However, this week (beginning 15 October 2018), Zoetis LLC were granted an exclusive license to two patents related to the company’s development of a vaccine to prevent the clinical infection of ASF. Many potential transmission routes have been identified for the introduction of ASF into new territories: the improper disposal of domestic and food waste; the feeding of food waste to pigs and wild boar; the potential contamination of swine feeds; and the improper treatment and disposal of dead, infected animals. What is important to remember is that the virus can survive for long periods of time, so strict hygiene and biosecurity is key to preventing transmission between farms and animals. All stockworkers, inspectors, veterinarians and farm visitors should avoid bringing any food onto farms and should always disinfect all clothing and equipment before moving between farms. Click here for more information on African swine fever clinical signs and diagnosis. For updated information on training courses on ASF prevention in Europe, visit ASF-STOP.